The new Popup Tab starts as a small tab on the side of your computer screen. Once clicked on it will show the popup over the center of the screen. Users can scroll through the reviews to see more and easily close it by clicking the “X” on the top right. The star color / type and the text that is displayed on the popup are customizable to fit your site. 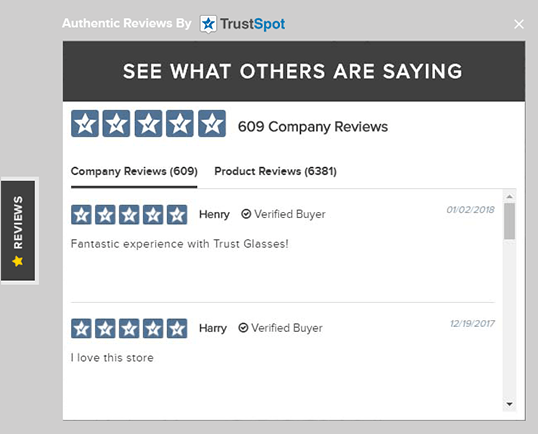 The Trust Blocks allow you to showcase multiple reviews together in a single area. The best part is that the Trust Blocks are elastic which means you can make the area as small as a widget or as large as a full page – the choice is up to you to better fit your site. The star color is customizable as well. 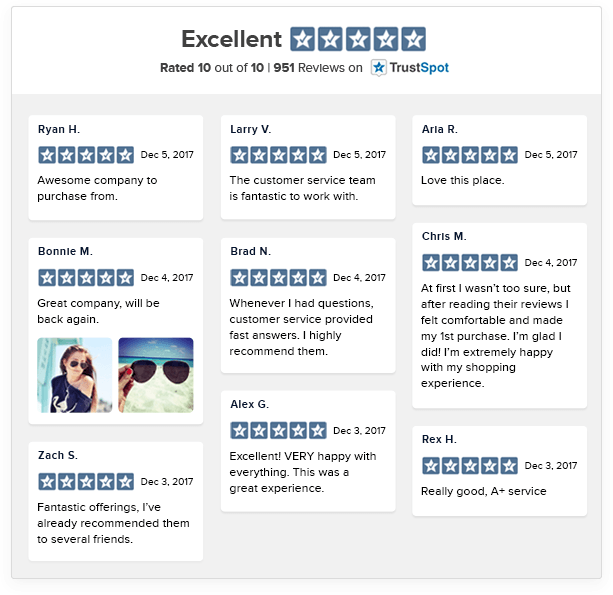 The Trust Carousel allows you to easily show multiple reviews in a slim slider, that can be positioned throughout your site. The best part about the Carousel is that it is completely mobile-responsive, so it will fit perfectly on your screen – whether its a desktop or a mobile device. The carousel is also customizable including the star color, background and foreground colors.